Summer is finally here!!! And IDK about you, buuut for me that means bring on the ice cream. 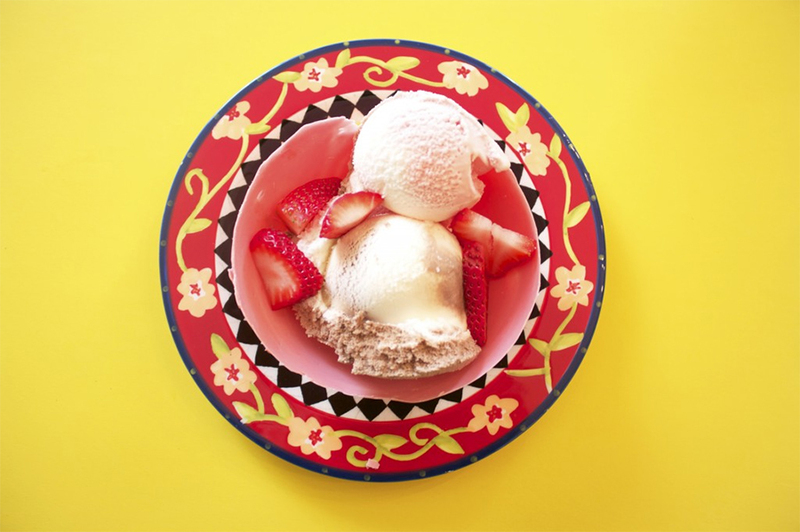 Think of your dream ice cream sundae; does it have whipped cream? marshmellows? chocolate drizzle? Now, how much better would that sundae be if you could eat the WHOLE thing? Literally. Too abstract of a concept for you to comprehend? Well, why don’t I put it this way: Why put food in a regular bowl when you can put it in a chocolate bowl?! Not only is it economical (because the environment + saving waste, duh) but it’s also delicious. 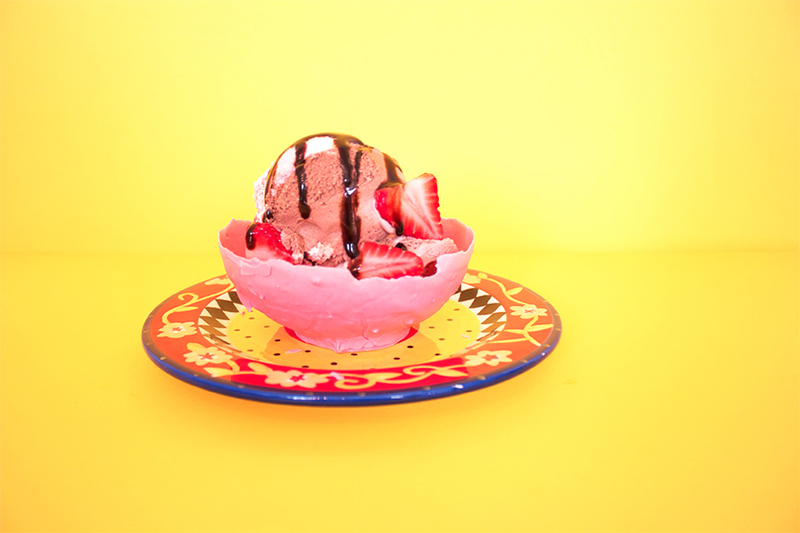 Let’s be change the world: one pink chocolate bowl sundae at a time. 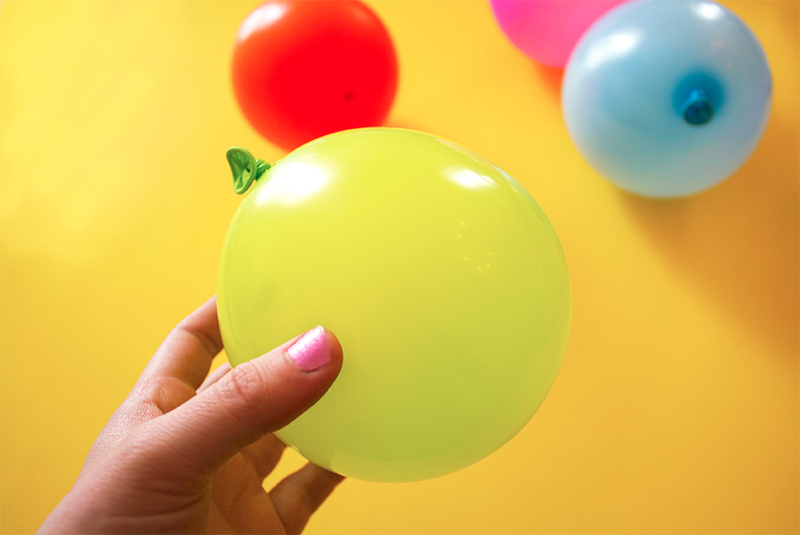 Take a balloon and blow it up to about the size of a grapefruit. Pour the chocolate chips into a microwaveable safe bowl. Microwave for approx. 40 seconds or until you get the right liquidish (makin up wordz) consistency. This is where you add the ~fun~ – AKA the pink food colouring OR the colour of your choice OR feel free to leave the mixture white. 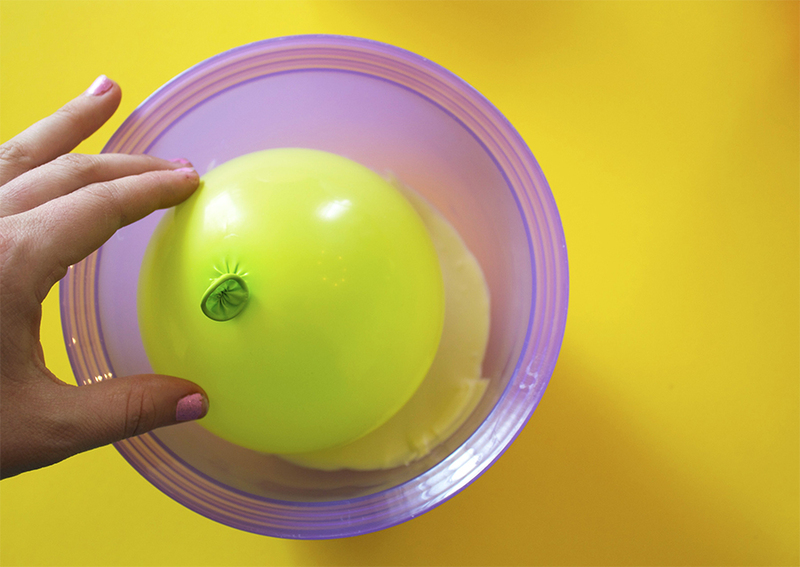 Let the chocolate cool for a few seconds before you dip the bottom of the balloon into the bowl. Be wary, because if you dip the balloon into hot chocolate lava it will burst. 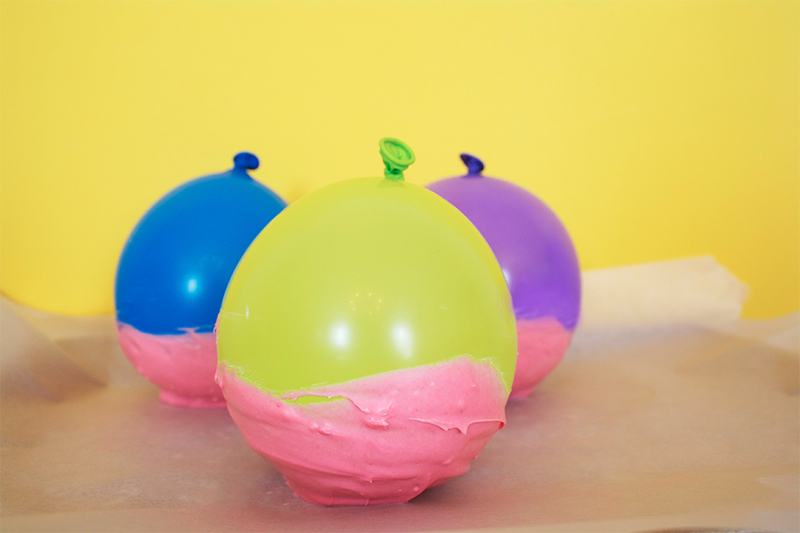 Coat the bottom of the balloon by twirling the bottom half in the chocolate. 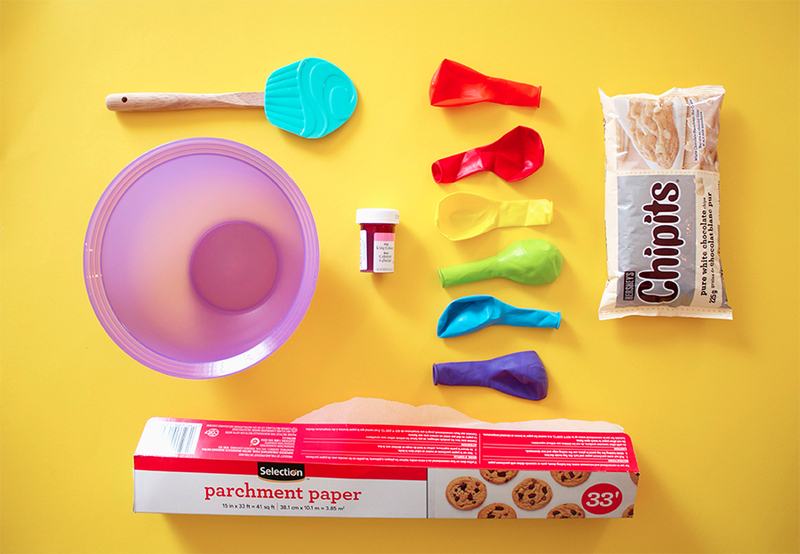 When you think it has enough of a chocolate coating, remove the balloon and place it onto the parchment paper. If you have an empty fridge like me (help me I’m poor), place the balloons in the fridge for a few hours to cool/harden. If there’s no room in your fridge, leave them in a cool, dark room to harden. 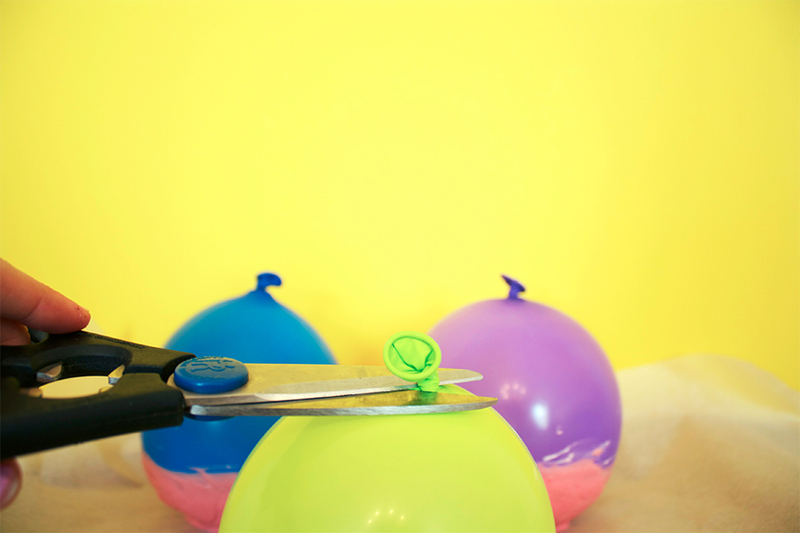 Once the bowls are hardened, take scissors and cut a small hole at the top of the balloon to slowly ooze the air out of the balloon. 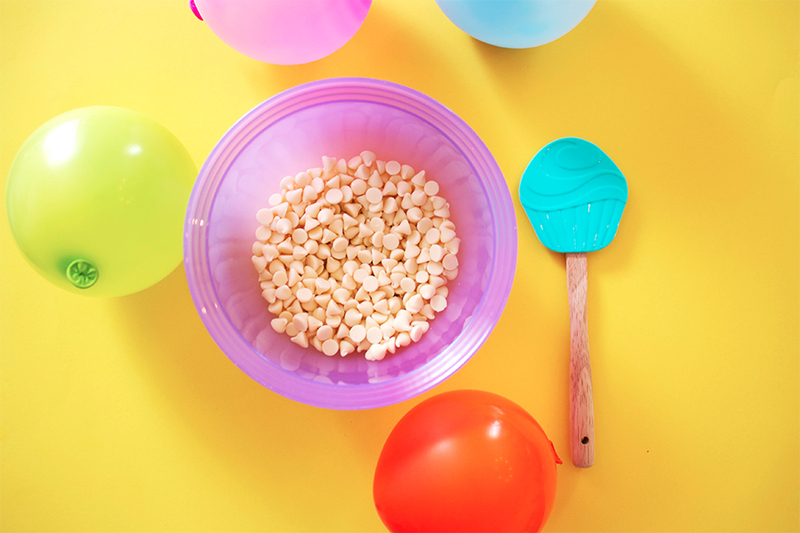 Don’t pop the balloon bcuz it may crack the bowl. Once all the air is gone, slowly peel the balloon from the chocolate. Now it’s up to you to create your dream sundae in your new chocolate bowl! 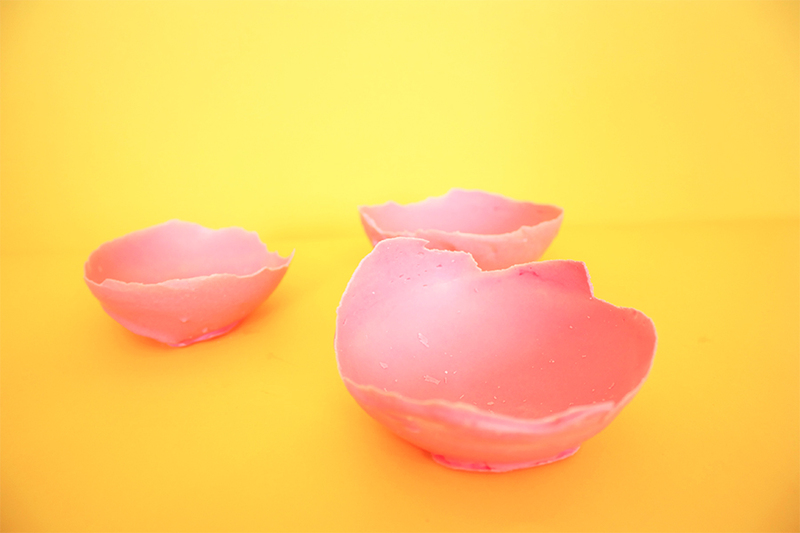 (OR whatever yumminess you’d like to fill these bowlz with). 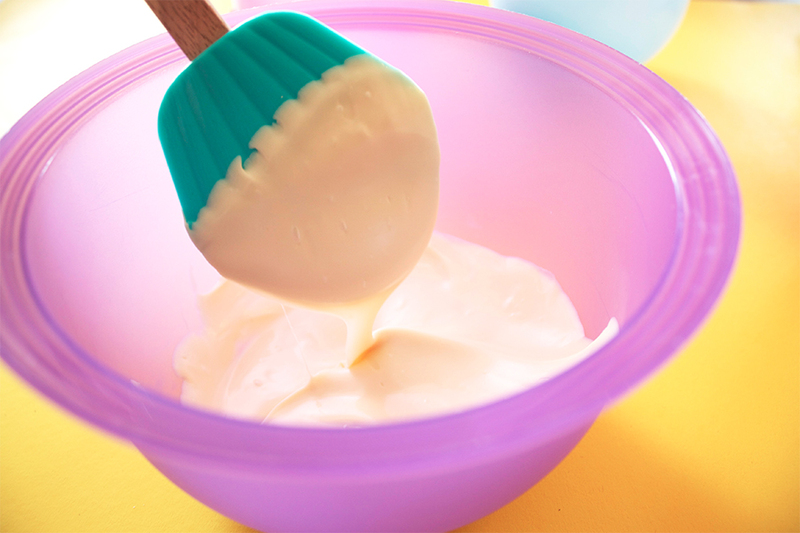 Be sure to show us your yummy creations. By Kastor & Pollux Interns on May 16, 2014 at 7:11 pm | Posted in DIY, how to and tagged diy, ema walters, food, in the kitchen, recipe, snacks. That is really nice. Brilliant concept Ema. LOVE white chocolate, great idea! Looks so yummy. 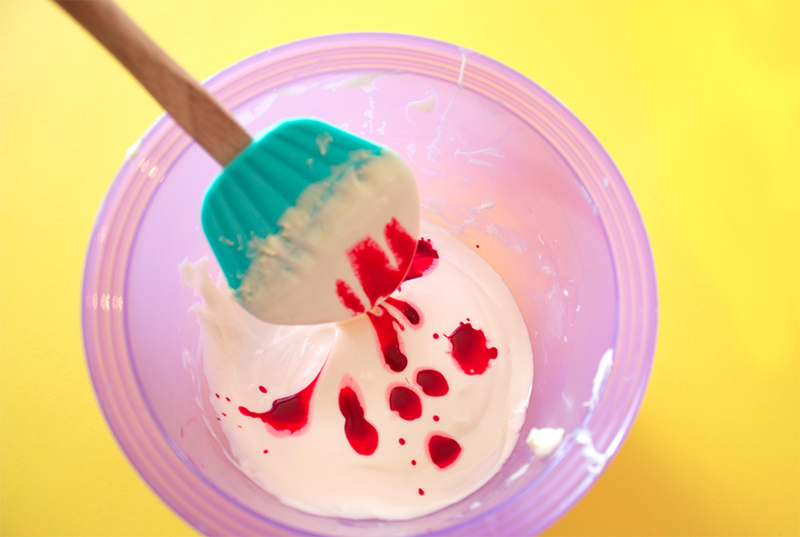 I love that you guys used food coloring with the white chocolate. I wouldn’t have even thought of it and I definitely want to make some blue and green bowls!